If you've come this far you would seem to be a serious writer. You may have enjoyed writing a diary since a teenager; you might have attempted some poetry in earlier years; you have probably been an avid reader of good literature all your life. And now you have embarked on the serious business of writing some fiction. Maybe something based around your own very individual experiences in life, or possibly something purely created from the imagination. Without realizing it, you will have your own style, which will have been influenced by your reading habits over the years. This individual style is called your “voice”, and it will be like no other. The urge to write comes first. I so admire the creative energy needed to write. But, writing is a craft and there are technical requirements associated with writing, as with any craft. These techniques need to be known and appreciated by the debut author. By practice in writing, coupled with the continued essential reading of good quality writing, so the techniques and demands of writing can be learned and perfected. There are many books on the market that deal with creative writing. You really are spoiled for choice. There are specialist ones for writing for children, for crime, for travel, for adult fiction, memoir and non-fiction. Scan the bookshelves and look between the covers to discover one that you find user friendly, but which is also comprehensive in its coverage. A useful reference work will be a “style” book, that covers uses of the English language, the do's and dont's, syntax, correct usage of specific words, sentence construction etc. A vital book to have at your elbow. I find Strunk and White's "Elements of Style", a neat and concise, but comprehensive volume. Another useful tome is a thesaurus for identifying alternative words so that you can vary your sentences. I particularly favour a synonym compendium such as J.I.Rodale's, "The Synonym Finder". 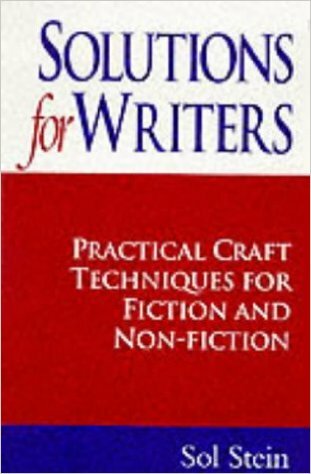 And, when you come to revising your work, and revisiting it time and again, this self-editing process is helped by acquiring a guide, such as Sol Stein's “Solutions for Writers”. This volume is full of good, practical advice from an author and practising editor, with examples taken from texts on which he has worked. Loads of such guides available, but I find Stein's particularly clear and concise. Well, I've said it above, but it bears repeating I think. There are the two basics elements, without which I think it will be extremely difficult to find a champion in the publishing world. Plus there are certain personal qualities that will stand you in good stead. Firstly, there has to be an appreciation and applicaton of the technical skills of writing. An aspiring author needs to know what are the components that make up a novel; characterisation, dialogue,narrative voice, scene setting, plotting, narrative flow and pace, and story arc. 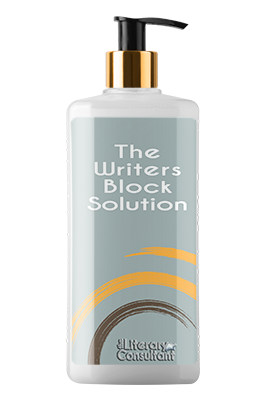 These go hand in hand with an ability to effectively handle the English language with all its demands; grammar, punctuation, syntax and all the other tools that will be needed to make the most of the written word. So, broadly speaking, those are the technical requirements, and like in any craft or trade, these techniques can be learned; learn by doing, and learn by reading good quality novels, will help develop the necessary skills to write fiction. So, what else is vital for a writer to become an author? Creative imagination! What exactly is creative imagination? I have a sense that it is the ability to look outside one's own experience in creating characters, situations, scenes, that in some way add to our awareness of each other and the world around us. Be it historical fiction, teen fiction, advenure writing, crime, science fiction, fantasy, or chick lit, all have the potential to examine the human condition and, in varying degrees, enhance our understanding of the same. Agents and editors are constantly seeking out new voices, new approaches, and fresh perspectives by debut authors. Publishing is a highly commercial and demanding industry, and is subject to fashion and changing tastes, just as in the other art forms, be it music, painting or sculpture. Does an author have to follow fashion and trends? No. I would argue that good writing will out; that good quality writing will ultimately find a champion in publishing, but it may take time. So, now we come to the personal qualities that will help the aspiring author. It's a long and arduous road to publishing success, and equal amounts of patience and determinarion will be needed. All aspiring authors will face weeks, if not months, waiting for replies from agents or editors. A medium sized literary agency will be faced with receiving as many as 200 unsolicited manuscripts a week. The task of sifting through these to find the gems is daunting, and authors' patience will certainly be tested waiting for responses and feedback. An author will be very lucky to receive any worthwhile feedback, but treasure any that does come your way, and pay heed to any advice contained within. Rejection is difficult to cope with, especially when no specific reasons are give. I don't know why agents come up with the lazy and perennial, "I liked it, but I didn't love it." Such a pointless cop-out, that offers nothing to the expectant author. So, this is where determination comes into play. There will possibly be a time to give up on a particular novel, but not before trying every avenue out there. And, even if one is forced eventually to give up on a certain novel, do not give up on writing itself, especially if it is a pastime that gives you real pleasure. Dust yourself down, and start on that new project, with those new characters that are rattling round your brain, waiting to come to life on the page. Good luck and never give up!